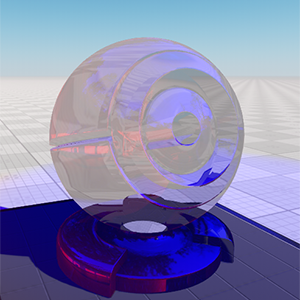 A mesh_base material is a physically based material featuring PBR (physically-based rendering) and SSR (screen space reflections) technologies. It provides the realistic reflections and lighting model. The material is available in the Materials list and is used as the default one. Options available in the States tab enable different features thus activating additional textures and their parameters. 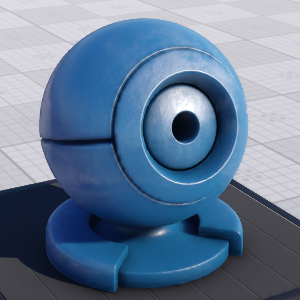 The main thing about the PBR material is a workflow. 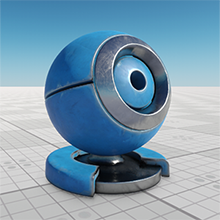 There are two workflows for Unigine PBR materials: Metalness and Specular. The specular workflow works with the old standard of textures that was used in the mesh_base material (diffuse, specular, gloss). Metalness works with the new standard of textures (albedo, metalness, roughness). We've kept the Specular workflow to make it easier to upgrade your projects that have the old texture standard. 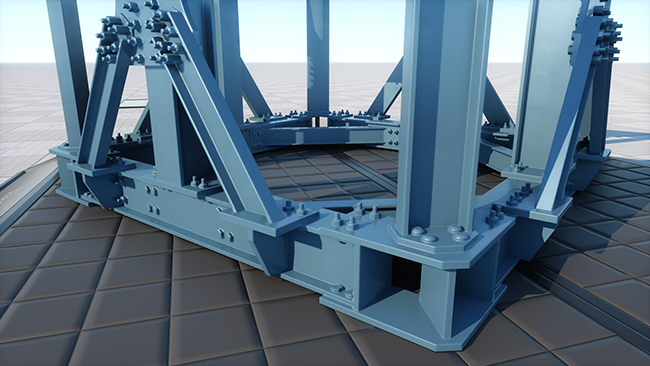 We strongly recommend to use the Metalness workflow for creating materials in new projects as it uses a less number of texture channels, and material parameters of the Metalness workflow are more similar to material parameters of the real world. Metalness — with the new standard of textures. 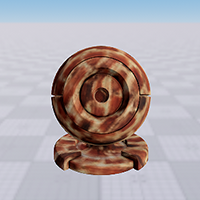 Specular — with the old standard of textures. Deferred Buffers option specifies if deferred buffers of the material should be filled. 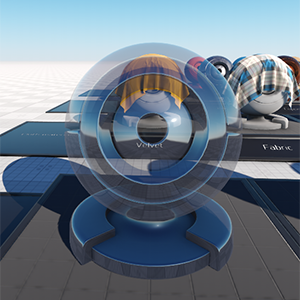 Multiple Environment Probes option specifies if several environment probes illuminate a transparent object and map their cubemaps to this object. Enabling or disabling this option available for transparent materials only (except materials with the Alpha test transparency preset). Emission simulates glow from extremely bright surfaces, therefore imitating real light sources and highlights. It can be used, for example, to simulate a glow of distant objects. Enabling the option activates an additional emission texture. 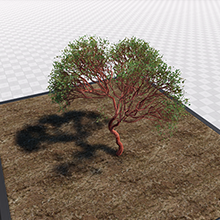 Lighting from sources simulated using the Emission state can be baked into GI. Emission map stores information about the light emission. It is blended additively over a texture, so areas which do not glow at all should be pure black on the glow map, and any brighter colors will appear to be emitting light. RGB values store information about a glowing color. Color is a color picker to choose a color multiplier for the emission texture. Scale is a coefficient to scale emission texture intensity. The higher the value, the lighter and brighter light areas of the emission texture are. Cross Section enables rendering of cross-sections of an object to which the material is applied (can be useful for complex CAD models). Cross sections are rendered only if the Two Sided option and the Emission state are enabled. 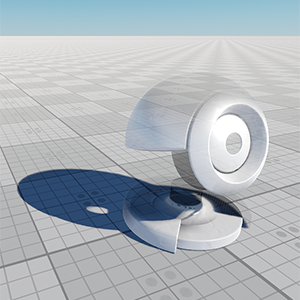 A cross-section of the object is created by the near clipping plane of the camera (player) viewing frustum that cuts this object. If the camera's near clipping plane is oblique, you can change its obliqueness and, therefore, change transformation of the cross-section. All plane sections are highlighted with a color. If geometry of the object has intersecting parts, in the cross points both the back and front faces of the polygons will be rendered. Cross Section Color specifies a color for a plane section (an area created by a plane cutting through a solid). 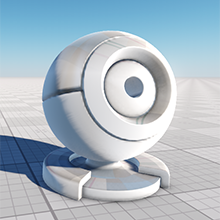 Ambient Occlusion (SSAO) is a real-time imitation of the diffuse indirect light and its shadows. Enabling the option activates the Ambient occlusion field that specifies which UV coordinates of the mesh will be used for textures. 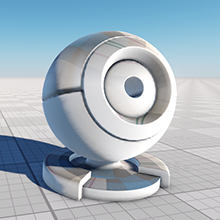 Ambient occlusion (AO) texture modulates the global environment illumination, for example, when an object is lighter at the top from sky above, and darker at the bottom from the ground below. The texture uses only R channel. 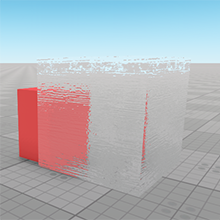 UV Transform AO is an ambient occlusion texture transformation parameter. 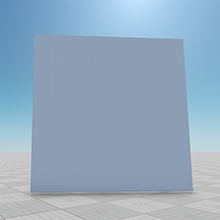 Auxiliary activates the auxiliary texture and parameters. 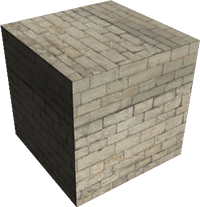 Auxiliary texture is a texture that used for auxiliary rendering pass. Auxiliary color parameter specifies the constant color for the auxiliary pass. 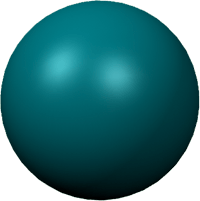 The vertex color is a color assigned to each vertex of the 3D model in any third party 3D editor. 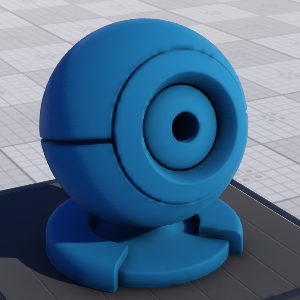 After being imported to Unigine, such model can be used in a number of ways allowing you to reduce the amount of used texture and broaden the diversity of the final materials. The Vertex color checkbox enables an additional Vertex color options field used for per channel modulation of the albedo, AO, light map, emission, detail and auxiliary textures. To use vertex color for emission, auxiliary and detail textures, the Emission, Auxiliary and Detail states should be enabled first. For the AO and detail textures you can choose which texture channel (R, G, B or A) to use. For albedo, light map, emission and auxiliary textures RGB channels are used simultaneously. 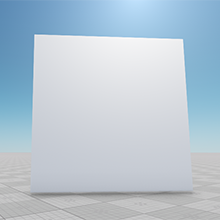 No texture is used, Vertex color is disabled. No texture is used, Vertex color is enabled, the Albedo RGB mode is used. 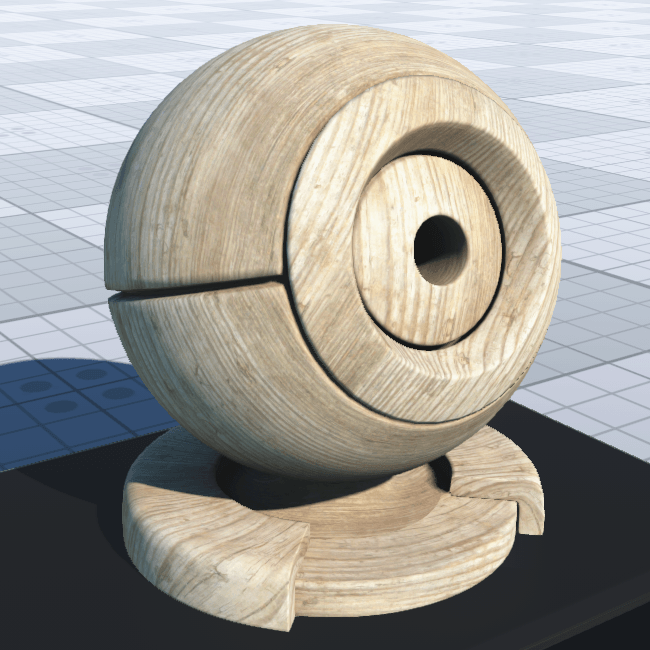 The diffuse texture (light wood) is assigned, Vertex color is enabled, Albedo RGB mode is used. 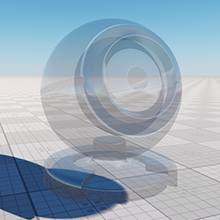 The mesh_base material features a dynamic planar reflection technique. The reflecting power of the material depends on two parameters: metalness and roughness. By using planar reflection options, you could create flat mirrors and flat dynamic reflective surfaces: parquet, flat varnished surfaces, etc. The engine renders dynamic reflections for planar reflection by computing the position of the reflection camera. Reflection camera represents a camera on the other side of the reflective surface: the distance from reflector to camera is the same for real camera and reflection camera. 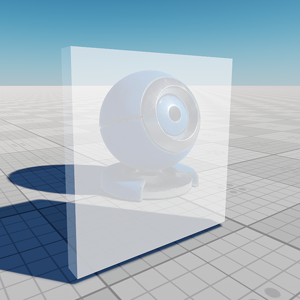 For the purposes of optimization, shadows of the object will be shown even if the object won't be reflected due to reflection distance parameter. 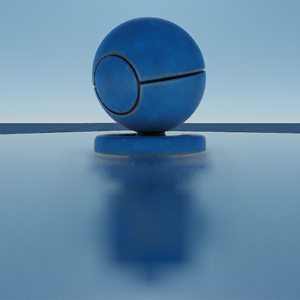 That happens because planar reflections re-use the shadows which was rendered for the real camera. 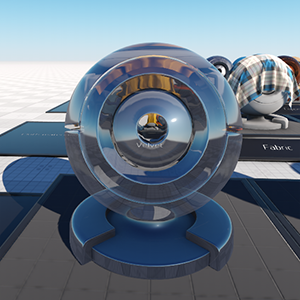 Planar reflections don't reflect each other: they render environment cubemap instead. Also, planar reflections miss post-effects. To enable the planar reflections for the material, click the Planar reflection checkbox. 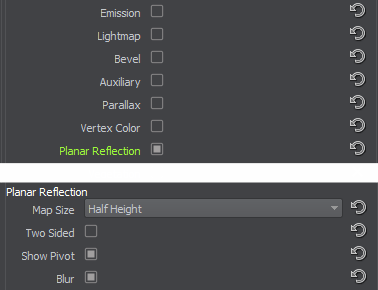 After enabling the option, the additional Planar reflection group becomes available. Ensure that the material has dynamic reflections. If not, tune the following parameters: Metalness and Roughness for metalness workflow, Microfiber and Gloss for specular workflow. To render planar reflections you must enable Dynamic reflections via Rendering -> Features -> Dynamic reflections. Specifies the size of the reflection map: the higher the value, the better the quality. 128 — creates a reflection image with 128x128 resolution. 256 — creates a reflection image with 256x256 resolution. 512 — creates a reflection image with 512x512 resolution. 1024 — creates a reflection image with 1024x1024 resolution. 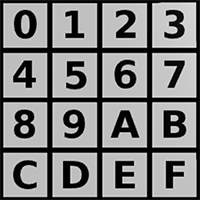 2048 — creates a reflection image with 2048x2048 resolution. 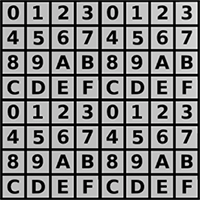 4096 — creates a reflection image with 4096x4096 resolution. Quart height — creates a reflection image with the resolution height/4 xheight/4, where height is an application window height. Half height — creates a reflection image with the resolution height/2 xheight/2, where height is an application window height. Height — creates a reflection image with the resolution height xheight, where height is an application window height. Two Sided option enables a two sided planar reflection. Show Pivot option shows the pivot plane, which shows the direction of reflective surface. By specifying the direction of planar reflection, you can create a reflection surface even if it was exported at an angle. Blur option enables blurring of planar reflection texture making reflections look more plausible. Mask specifies the viewport mask of the reflection camera. Distance from the reflection camera to the object that will be reflected. In other words, the distance equals the distance from camera to the reflective surface plus the distance from object to reflective surface. Pivot Rotation specifies the rotation of the reflection pivot point. This parameter can be used to correct reflection in case if reflective surface was exported with a tilt angle or was rotated. Pivot offset specifies the position of the pivot point. This parameter can be used to correct reflection in case if the transformation of reflective surface was changed. 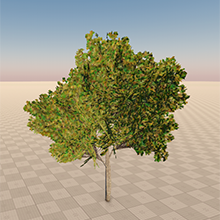 The mesh_base material allows you to create materials for vegetation crowns and trunks. Enabling the Vegetation checkbox activates a set of additional animation and geometry parameters. Disabled — the material is static. Default — animation of stems and leaves is enabled and can be controlled by the animation parameters. 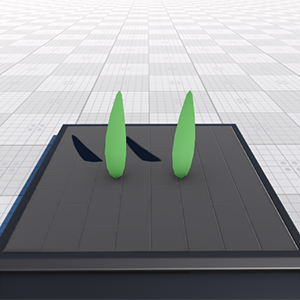 Field — animation of stems and leaves is enabled, can be controlled by the animation parameters, and material's animation parameters can be affected by an animation field. 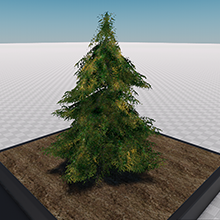 Disabled — leaves are not rendered. 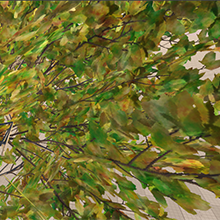 Geometry — leaves are rendered as a standard polygons. 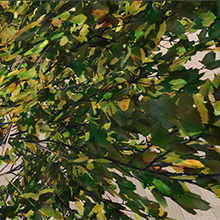 Billboard — leaves are rendered as billboards that always face the camera. If leaves are rendered, its animation can be controlled by the animation parameters. Shadow offset enables an offset parameter for leaves shadows. Angle fade enables cutting out the object at the angle between the surface normal and the camera view direction vector. The option activates the Angle fade power parameter. The option is available for transparent materials only. 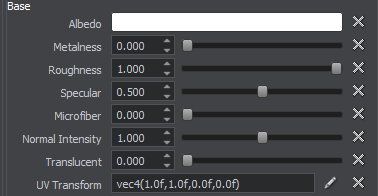 Animation parameters are present only if the Animation option is enabled. These parameters are available on the Parameters tab. Stem noise — a coefficient to scale a spatial noise that diversifies the direction of movement of the vegetation stems. Stem offset — a coefficient to scale an amplitude of horizontal movement for the vegetation stems. Stem radius — a coefficient to scale an amplitude of vertical movement for the vegetation stems. Stem scale — a coefficient to scale the speed of vegetation stems movement. Field mask — a field mask that specifies an area of the animation field to be applied to stems and leaves (if rendered). This mask must match the field mask of the animation field. The parameter is available only if the Animation state is set to Field. 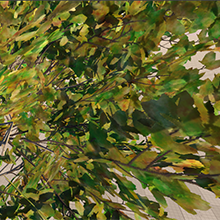 Leaf noise — a coefficient to randomize the orientation and direction of rotation for leaves (seen only on several nodes with the same material). By the minimum value of 0, all leaves are synchronized in their movement. Higher values make leaves randomly move in different directions. Leaf offset — a coefficient to scale leaves rotation amplitude. By the minimum value of 0, leaves do not move at all. Higher values make leaves move with greater amplitude. Leaf scale — a coefficient to scale the speed of leaves rotation. By the minimum value of 0, leaves do not move at all. Higher values make leaves move with faster. The parameter sets an offset of leaves shadows. Available in the Parameters tab when the Shadow Offset option is enabled. Angle fade power is a coefficient to scale the angle at which the object is cut out. 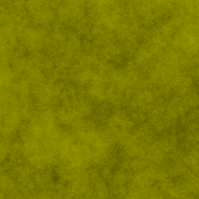 A color noise 2D texture. Noise texture intensity. By the maximum value of 1, the color noise is fully visible. By high values, color blobs are small in size (for example, several blobs per leaf). Tiles of the spatial noise texture are small and repeat often. By low values, color blobs are big (for example, several blobs for the whole tree). Tiles of the spatial noise texture are big and repeat a few times. 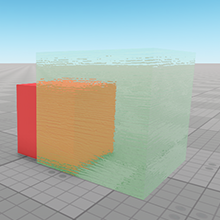 3D noise specifies if additional spatial noise and color gradient textures will be added. These textures add a random color variation to leaves. A single channeled spatial color noise texture used to randomize the coloring of leaves according to the gradient color texture. A gradient texture that modulates leaves colors (for example, from bright green to yellow). 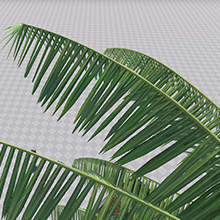 0.5 means the texture does not affect leaf color. Higher values lighten the colors (are added). Lower values darken the colors (are subtracted). Detail rendering activates a set of textures (diffuse, normal, specular for the Specular workflow; albedo, normal and shading for Metalness workflow) to form a material layer. It is applied for bringing detailing to the material. Blending - the type of the detail material blending. Alpha blend - an alpha blending mode. Overlay - depending on the base texture (diffuse or albedo) color, the base and detail textures colors are either multiplied (for dark color pixels) or screened (for light color pixels), which leads to the contrast increase while preserving highlights and shadows. Grey pixels are not effected at all. Multiply - the base texture (diffuse or albedo) color is multiplied by the detail texture color, resulting in darker colors. White pixels are not effected at all. If detail textures are not visible enough in the resulting image, try increasing its color scale parameter (Diffuse or Albedo). Angle fade - detail angle fade. 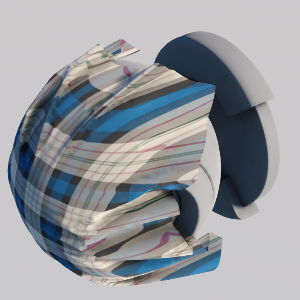 Disable - disable overlapping of the base material. 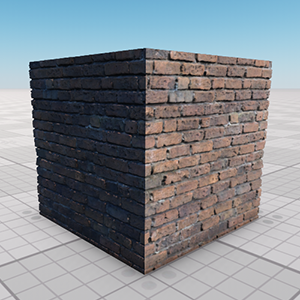 Object transform (overlap) - overlap the base material by using the object transformation (detail textures will be rotated with the mesh). This option can be used to create stone material with moss, rust and corrosion atop. World transform (overlap) - overlap the base textures by using the world transformation (no matter if you rotate the object, the detail textures will always be projected atop). This option can be used to create stone material with moss, rust and corrosion atop. These two overlap options (Overlap (object transform) and Overlap (world transform)) replaced the old mesh_overlap_base material. 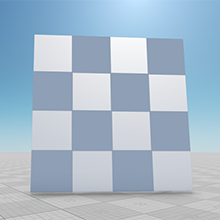 Mask - a flag indicating that a texture mask is used for blending base and detail materials selectively (the detail textures will be shown according to the mask). This option replaced the old mesh_layer_base material. Enabling the mask activates the Detail mask field that specifies which UV coordinates of the mesh will be used for the detail mask. 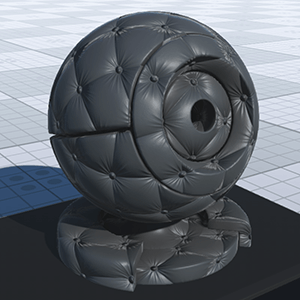 See also the chapters on detail texures and detail textures shading parameters. 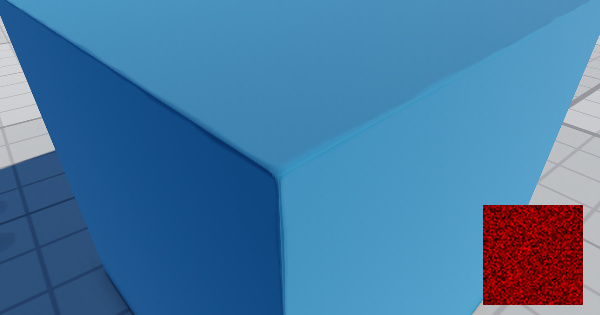 Bevel enables rendering of the screen-space bevels. Scale is a multiplier for the bevel's radius. Bevel UV Transform is the bevel texture coordinates transformation. To specify which UV coordinates of the mesh should be used for the bevel texture, go to the States tab and set the Bevel Map value. Triplanar Blend - triplanar blending factor. 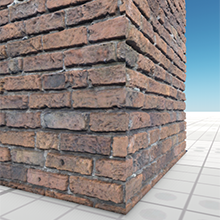 The parameter is available when the Triplanar mapping is used to project the texture. 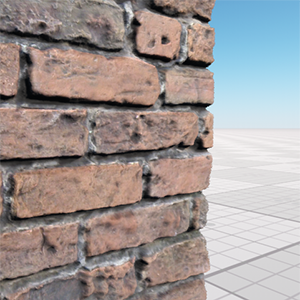 Normal map specifies the type of normal mapping that is used for a model. 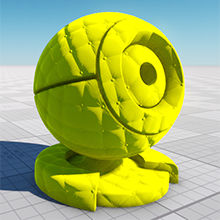 Object space normal maps are characterized by their full spectrum (rainbow-colored) appearance. They used for meshes which vertices cannot be deformed (it requires the model to remain in its original orientation). 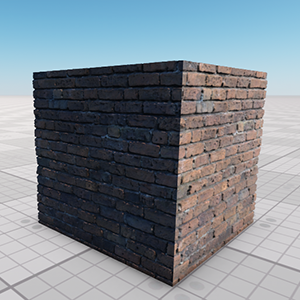 Object space normals are best for things that can move, but cannot be deformed, like walls, doors, cars, weapons, etc. It's easier to generate high-quality curvature because object space normal map completely ignores the crude smoothing of the low-poly vertex normals. 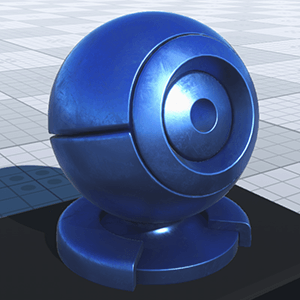 Tangent space normal maps are easily recognized by their mostly blue appearance. 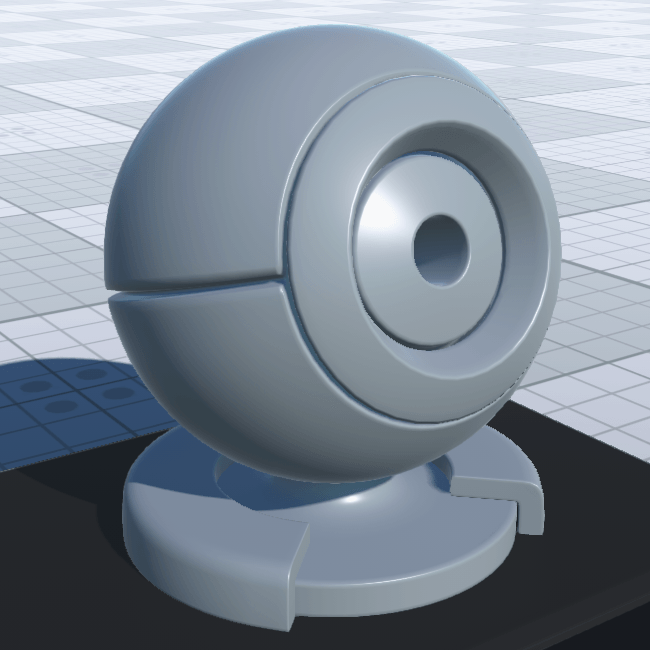 Tangent Space normal maps can be rotated and deformed, therefore they are ideal for characters or objects that need to have vertex deformation, like water or tree limbs. The state is available for transparent objects only. Main - use the alpha channel of the main (albedo or diffuse, depending on the current workflow) texture. Normal - use the B channel of the normal map. Light map activates an additional light map texture therefore specifying that the material will be rendered lit by it. The material color (diffuse or albedo) is multiplied by the light map and the ambient color. Enabling the state activates the Lightmap option that specifies which UV coordinates of the mesh will be used for the light map texture. 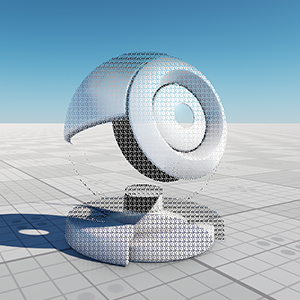 Lightmap is a texture storing pre-computed light information. Usually is used for static objects. Lightmap scale is a coefficient to scale the intensity of the light map illumination. The higher the value, the brighter the illumination is. 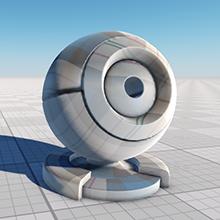 Lightmap gamma is a coefficient to specify the gamma of the light map illumination. 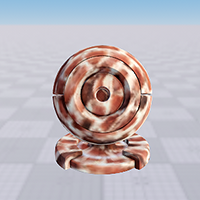 UV transform is a lightmap texture transformation parameter. 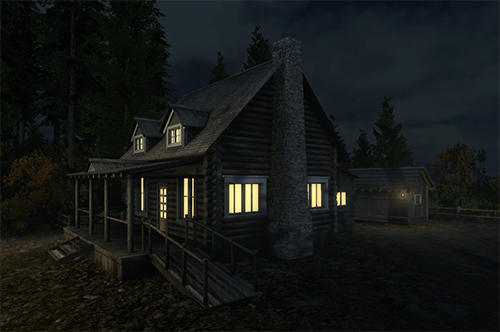 Lightmap with ambient allows the light map to take into account ambient lighting. If disabled, only the light map will be rendered. The state takes an effect only when the Lightmap state is enabled. The state can be used for materials in scenes with the baked lighting and changing time of day. 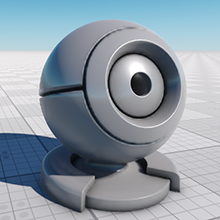 Specular map enables using a specular texture channel of the shading texture as a specular multiplier. The state is available for the Metalness workflow only. 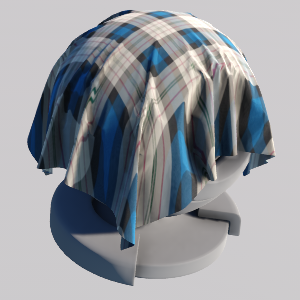 When the Metalness workflow is used, the Microfiber state activates the microfiber texture channel in the shading texture. When the Specular workflow is used, the Microfiber state activates the microfiber texture. 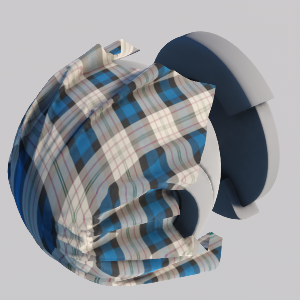 In the example below, on the first picture, only a part of the mesh is napped according to the microfiber texture. On the second picture, the whole mesh is napped as the microfiber texture doesn't define otherwise. Translucent map activates an additional translucent texture. Translucent texture stores information on material's translucency. 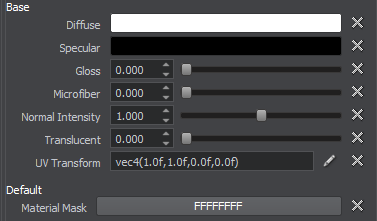 For example, by using this texture, it is possible to specify parts of the object that aren't translucent (the Translucent parameter won't affect them). Parallax mapping enables the parallax effect that provides a convex relief based on a parallax (height) texture. Shadow - apply the parallax shadow effect. Depth cutout - apply the depth cutout effect that provides smooth connection of the object with the real mesh. The option enables to make a plane looks like real geometry. 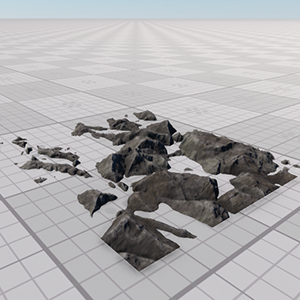 Also, the depth cutout effect improves the SSAO calculation on surfaces with parallax maps. Cutout - apply the cutout effect that provides smooth edges between the opaque and transparent areas. This effect works correctly only when mesh edges match the UV edges. Parallax map stores information about per-pixel parallax displacement. 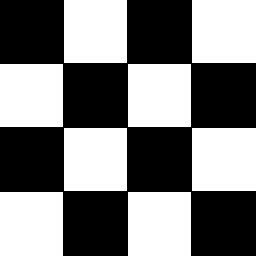 White color indicates that the pixels are not displaced. Black color indicates that the pixels will be depressed farthest away. 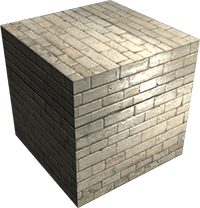 Height is a coefficient to scale the power of the parallax texture displacements. The higher the value, the bigger the normals are. 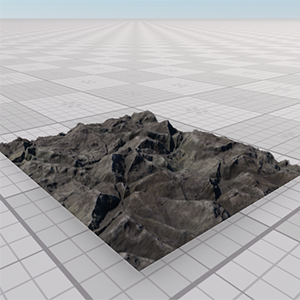 Min layers parameter specifies the minimum step of the parallax mapping. 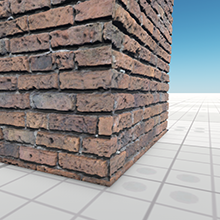 Max layers parameter specifies the maximum step of the parallax mapping. Noise parameter specifies the size of the noise used for parallax mapping. The higher the value, the less visible the layers. The parameter is available if the Cutout option is enabled. 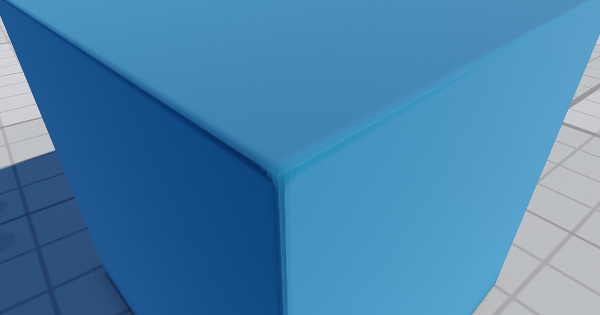 Shadow min layers parameter specifies the minimum step of parallax shadows. 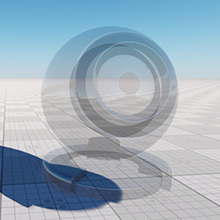 Shadow max layers parameter specifies the minimum step of parallax shadows. 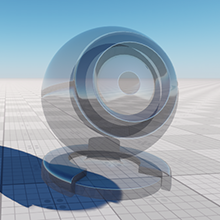 Shadow noise parameter specifies the size of the noise used for parallax shadows. The higher the value, the less visible the shadow layers. Shadow intensity specifies intensity of shadows provided by the parallax effect. Shadow softness specifies softness of shadows provided by the parallax effect. 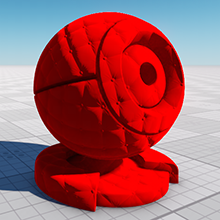 Calculate tangent space enables calculating the tangent space in the shader. It can be used for materials applied to geometry with incorrect tangents or to geometry without tangents. Geometry inflation allows you to apply an additional visual effect without real geometry changing. By using this option, you can create wires and balloons by specifying the type of inflation. This option replaced the old mesh_wire_base material. Disabled - disables geometry inflation. Wire - wire type. It will bloat the geometry normals to provide more realistic wire depending on the distance to the mesh. Balloon - balloon type. It bloats the geometry by specified constant. Vertex inflation value in units. Jitter transparency enables creating deferred transparency by using jittering. The state can be used when such result is acceptable and post-effects are applied to the material. The state is available for alpha test materials only (materials with the Alpha test transparency preset enabled). 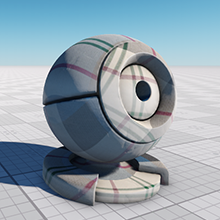 Normal map is a coefficient to scale the intensity of the normals (provided by a normal map). The higher the value, the higher the normal texture effect is. Shape is a coefficient of influence of the object's shape to the result of refraction. Power sets the refraction post-processing power. The lower the value, the more intense the refraction is. Transparent blur enables creating transparent matte objects (e.g. matte glass). In the example below, the transparency preset is Additive. transparent_blur sets the degree of blurring. Transparent shadow enables creating translucent shadows by using jittering. The state can be used when such result is acceptable and translucent shadows are required. In the example below, the transparency preset is Alpha blend, Transparent multiplier and Transparent pow parameters are set to 0.6. These options control rendering of shadows cast on transparent objects. 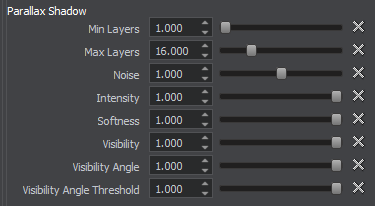 This group of settings is available for transparent materials only. 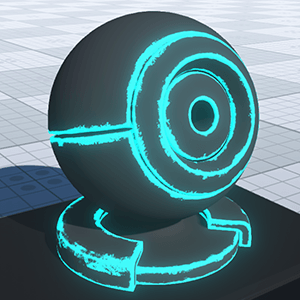 Enabling/disabling shadows options via Rendering -> Shadows menu does not affect transparent materials, as they are controlled per-material via the group of options listed below. 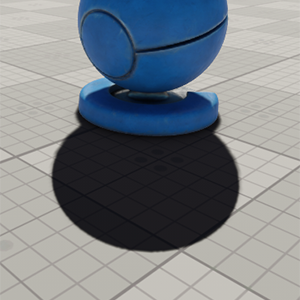 Soft Shadows enables rendering of soft shadows cast on the material. When enabled, the shadows become blurred on the edges and look more plausible. 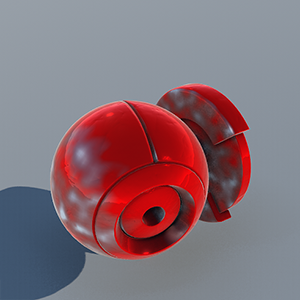 Omni Shadows Jitter enables jittering for shadows cast on the material by omni light sources. Lerp Cascades enables linear interpolation for shadows cascades. When enabled, transitions between cascades become smoother. 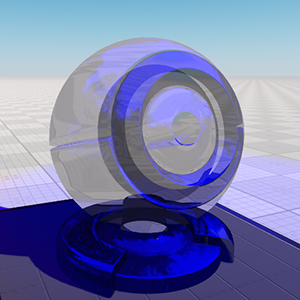 However, the option drops performance, as in the transition parts 2 shadow maps are rendered. 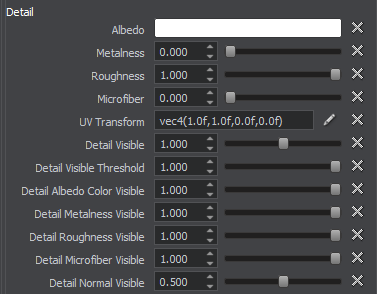 These options specify which UV coordinates of the mesh will be used for textures. 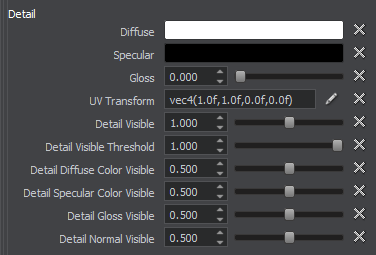 Base option specifies which UV coordinates of the mesh will be used for base textures. First UV - map the texture using the first UV coordinates of the mesh. Second UV - map the texture using the second UV coordinates of the mesh. Triplanar - map the texture without using UV coordinates of the mesh (textures are projected by using triplanar mapping). 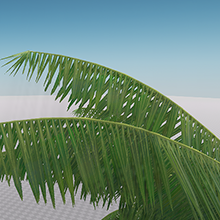 Detail option specifies which UV coordinates of the mesh will be used for detail textures. 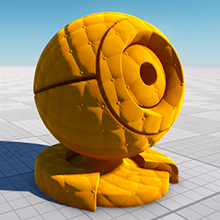 Object transform (overlap) - map the texture using object transformation (the texture is rotated with the mesh). World transform (overlap) - map the texture using world transformation (the texture is always projected atop). Ambient occlusion option specifies which UV coordinates of the mesh will be used for the AO texture. Base - map the texture using base UV coordinates. 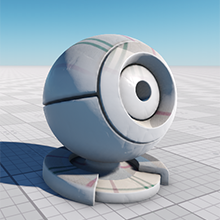 Lightmap option specifies which UV coordinates of the mesh will be used for the lightmap texture. Detail mask option specifies which UV coordinates of the mesh will be used for the detail blend mask texture. Detail - map the texture using detail UV coordinates. Second UV - map the texture using the first UV coordinates of the mesh. Overlap (object transform) - map the texture using object transformation (the texture is rotated with the mesh). Overlap (world transform) - map the texture using world transformation (the texture is always projected atop). 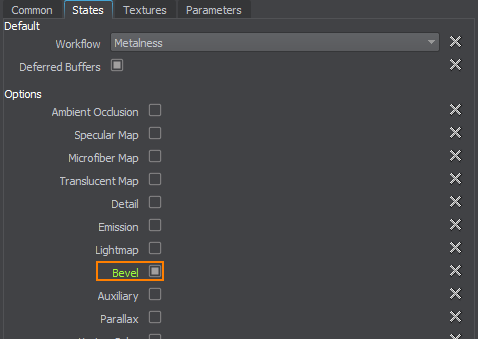 Bevel option specifies which UV coordinates of the mesh will be used for the bevel texture. Post processing options activates post processing effects for the material. 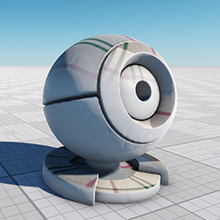 SSAO - enables screen space ambient occlusion. 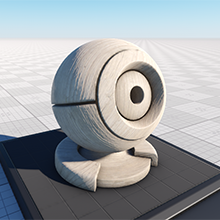 Available for opaque and alpha test materials (materials with the Alpha test transparency preset enabled). 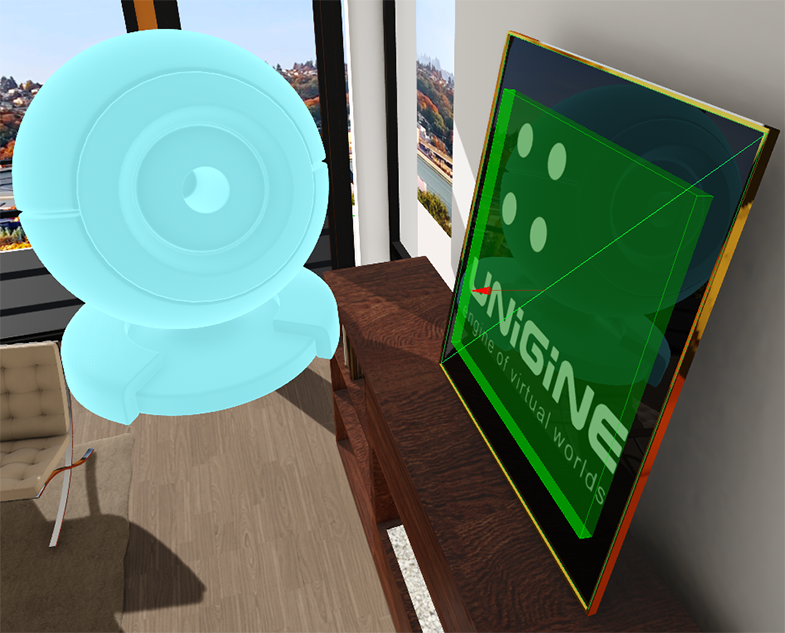 SSR - enables screen space reflections. 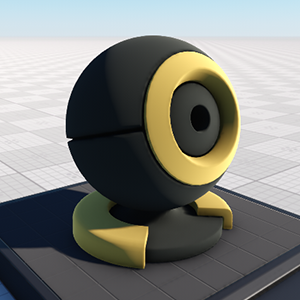 Available for opaque and alpha test materials (materials with the Alpha test transparency preset enabled). 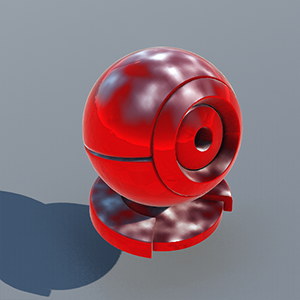 SSS - enables subsurface scattering. Available for opaque and alpha test materials (materials with the Alpha test transparency preset enabled). DOF - enables the depth of field effect. Available for both opaque and transparent materials. Motion blur - enables the motion blur effect. Available for both opaque and transparent materials. Sun shafts - enables sun shafts. Available for both opaque and transparent materials. Shoreline wetness - enables the wetness effect for objects near the shoreline. Available for opaque and alpha test materials (materials with the Alpha test transparency preset enabled). The states are available for all transparent materials except alpha test ones (materials with the Alpha test transparency preset enabled). Environment and emission - enables rendering of the material illuminated by an environment probe. Light omni - enables rendering of the material illuminated by an omni light. Light proj - enables rendering of the material illuminated by a projected light..
Light world - enables rendering of the material illuminated by a world light. All of the textures fields have set default textures, which can be replaced by your own ones. 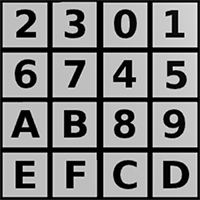 Availability of some textures depends on the set States values. Albedo texture specifies the color of the surface. RGB values store color information. White color indicates that the area will be visible. Black color indicates that the area will be transparent. The R channel stores a metalness texture. The G channel stores a roughness texture. The B channel stores a specular texture. The A channel stores a microfiber texture. White pixels indicate that material is metal. Black pixels indicate that material is dielectric. White pixels indicate that material is rough. Black pixels indicate that material is smooth. 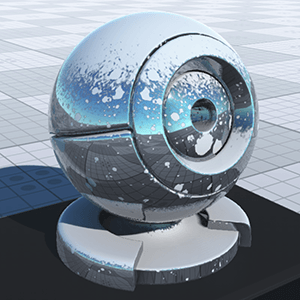 A specular texture stores the light reflectance information. It defines shininess and a highlight color of the surface. 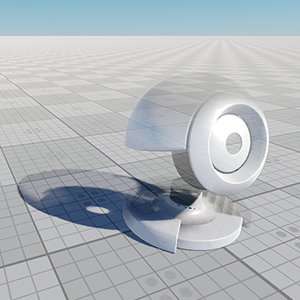 The lighting is calculated as a Lambertian lighting model plus a surface angle, light angle, and viewing angle dependent specular highlight (Blinn-Phong lighting model). To use this channel, enable the Specular state. White color indicates that the area will be reflective. Black color indicates that there will be no reflections. A microfiber texture creates an effect of napped surface. The lighter the pixel, the more napped material will be. To use this channel, enable the Microfiber state. 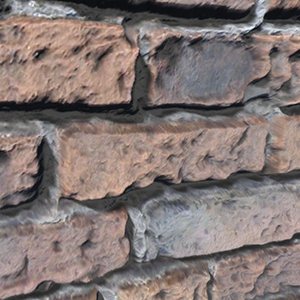 Normal map stores height information required to achieve an effect of Normal Mapping (a technique creating the illusion of depth for adding details without using additional polygons). When calculating lighting of the surface, the mesh geometry is overridden by the normals value. RG values store two components of a surface normal. B value is calculated based on the R and G values in run-time. Diffuse texture specified the color of the surface. It is lightened according to a Lambertian lighting model (light intensity is permanent regardless of the camera motion and rotation and depends solely on the angle between the surface and the light direction). 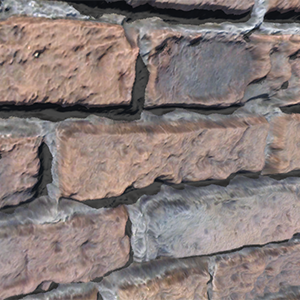 Normal map stores height information required to achieve an effect of Normal Mapping (a technique creating the illusion of depth for adding details without using more polygons). When calculating lighting of the surface, the mesh geometry is overridden by the normals value. 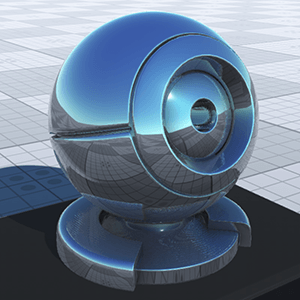 Specular map stores the light reflectance information. It defines shininess and a highlight color of the surface. 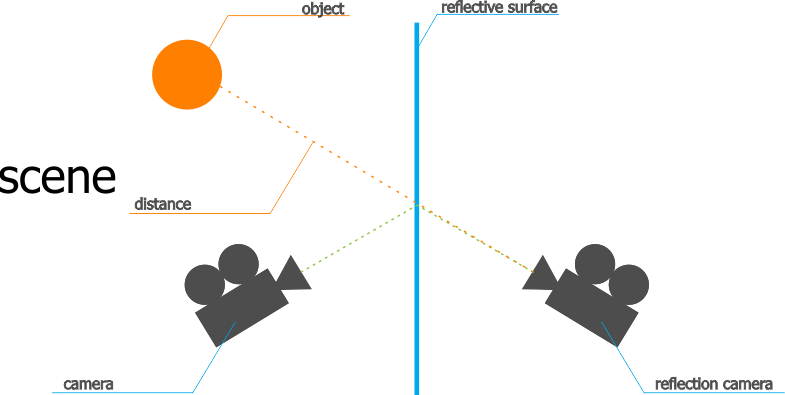 The lighting is calculated as a Lambertian lighting model plus a surface angle, light angle, and viewing angle dependent specular highlight (Blinn-Phong lighting model). White color indicates that the specular highlights are very bright and intense. Black color indicates that the specular highlights are dull. Microfiber texture creates an effect of napped surface. The lighter the pixel, the more napped material will be. The texture is applied when the Microfiber state is enabled. An additional set of the textures to form a material layer. 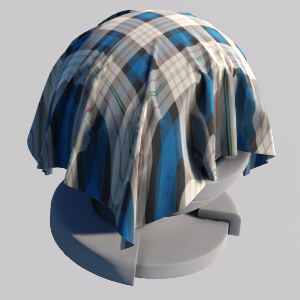 The set contains all the textures from Base textures group, except for the Microfiber texture. For the Specular workflow, the mask of the Detail textures set is specified in the Alpha channel (A) of its diffuse texture. Detail textures are present when a Detail option is enabled. Detail blend mask is a mask for two detail textures. Determines the way for two base and detail textures to be rendered. Black areas - base textures will be shown. Red areas - detail textures will be shown. Availability of some parameters depends on the set States field values. Scale texture coordinates, along the X and Y axes. For example, by the scale of 2 ;2 the texture will be repeated four times on the surface. See the second picture below. An offset of the texture respectively to its initial position along X and Y axes. For example, by the offset of 0.5 along the X axis the texture will be repositioned to the right (so the left edge of the texture will be rendered in the center). See the third picture below. Material mask parameter specifies a decal bit-mask. If the material mask of the decal material matches the surface material, the decal will be projected. Albedo is a multiplier of the base color of the surface provided by the albedo texture. Metalness is a multiplier of metalness. Specular is a multiplier for the intensity of highlight provided by the specular texture. Roughness is a multiplier of the roughness of a surface. Normal Intensity is an intensity of the relief of the normal map. Translucent is a scale of the translucency effect, which permits light to pass through the object, but diffuses it so objects on the opposite side are not clearly visible. Microfiber is a coefficient to scale the intensity of the microfiber (provided by a microfiber texture). The higher the value, the higher the microfiber texture effect is. Transparent multiplier is a multiplier of material's transparency. The higher the value, the less transparent the material. The parameter is available for transparent objects only. Transparent pow is a power of material's transparency. The higher the value the more transparent the material. Diffuse defines the base color of the surface. Specular is a color picker to choose the auxiliary specular color for the specular texture. It can be used for specifying different specular colors for one texture or modifying the texture color on the spot. The specular color of the texture and this color will be blended. Gloss is a coefficient modifying the size of the highlight (Phong shading). 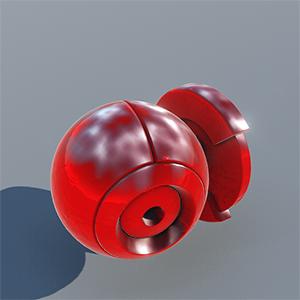 Low values imitate wider highlights, typically appropriate to create diffuse reflection from mat surfaces. High values imitate pinpoint highlights, typically appropriate to create uniform reflection of light rays from glossy surfaces. Normal intensity is a coefficient to scale the intensity of the normals (provided by a normal map). The higher the value, the higher the normal texture effect is. Detail parameters are present if a Detail option is enabled. Albedo is a multiplier of the detail color of the surface provided by the detail albedo texture similar to the base texture Albedo parameter. Metalness is a multiplier of metalness provided by the detail metalness texture similar to the base texture Metalness parameter. Roughness is a multiplier of the roughness of a surface similar to the base texture Roughness parameter. Microfiber is a coefficient to scale the intensity of the microfiber (provided by a microfiber texture) similar to the base texture Microfiber parameter. The higher the value, the higher the microfiber texture effect is. Visibility specifies a multiplier of visibility of the detail texture. In the example below, Angle fade is set to Object transform. Visibility threshold influences to sharpness of the smooth transitions between the base and detail textures. Albedo visibility specifies the influence of the detail texture albedo over the base texture albedo. In the example below, Detail blending is set to Overlay, the base albedo texture is yellow and the detail albedo texture is red. Metalness visibility specifies the influence of the detail texture metalness over the base texture metalness. In the example below, Detail blending is set to Overlay, the base texture metalness is set to 0.7 and the detail texture metalness is 0.1. So, increasing the metalness visibility leads decreasing the resulting metalness of the material. Roughness visibility specifies the influence of the detail texture roughness over the base texture roughness. In the example below, Detail blending is set to Overlay, the base texture roughness is 0.5 and the detail texture roughness is 1.0. So, increasing the roughness visibility leads increasing the resulting roughness of the material. Microfiber visibility parameter specifies the influence of the detail texture microfiber over the surface. The parameter is available only when the Microfiber state is enabled. 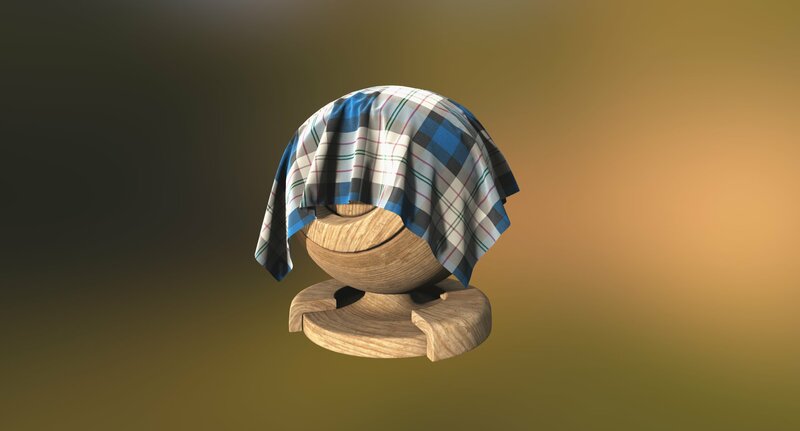 In the example below, Detail blending is set to Overlay, the base texture microfiber is 1.0 and the detail texture microfiber is 0.0. So, increasing the microfiber visibility leads decreasing the microfiber effect for the material. 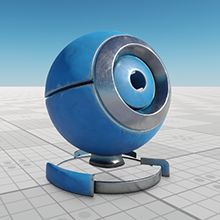 Specular visibility parameter specifies the influence of the detail texture specular over the surface. Normal visibility parameter specifies the influence of the detail texture normal over the surface. In the example below, Detail blending is set to Overlay. The parameters is available if the Mask option is enabled. UV Transform is detail mask texture coordinates transformation. The parameters are available if the Angle fade option is enabled. 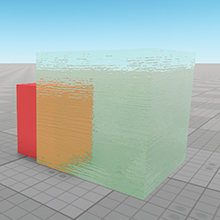 Fade is a coefficient to scale the angle at which detail texture fades. Threshold influences to sharpness of the smooth transitions between the base texture and the detail texture for which the Angle fade option is enabled. Diffuse is a multiplier of the detail color of the surface provided by the detail diffuse texture similar to the base texture Diffuse parameter. 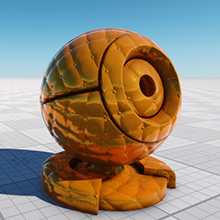 Specular is a color picker to choose the auxiliary specular color for the detail specular texture similar to the base texture Specular parameter. 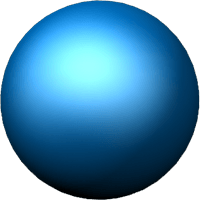 Gloss is a parameter modifying the size of the highlight of the detail texture similar to the base texture Gloss parameter. 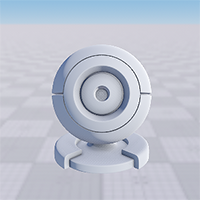 Diffuse visibility specifies the influence of the detail texture diffuse over the base texture diffuse. In the example below, Detail blending is set to Overlay, the base diffuse texture is yellow and the detail diffuse texture is red. 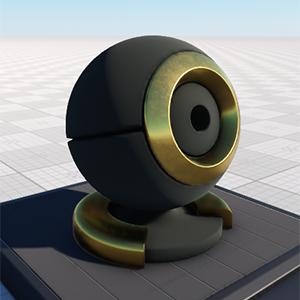 Specular visibility specifies the influence of the detail texture specular over the base texture specular. Gloss visibility specifies the influence of the detail texture gloss over the base texture gloss. In the example below, Detail blending is set to Overlay, the base texture gloss is 0.5 and the detail texture gloss is 1.0. So, increasig the gloss visibility leads increasing the resulting gloss of the material. Normal visibility parameter specifies the influence of the detail normal texture normal over the surface.